Saving social mentions history. No more worries that you can miss some important posts: your data is stored and available for preview as long as your subscription is active. Exporting data. 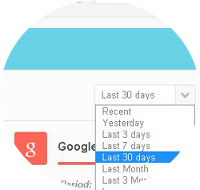 Get a full control over the cached posts by exporting information into the CSV. API integration. 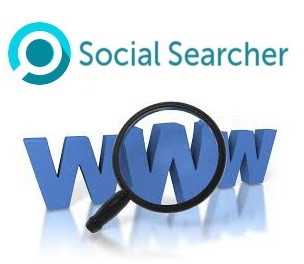 Social Searcher provides an easy way to integrate data with your own software without necessity to use interface. Advanced analytics. 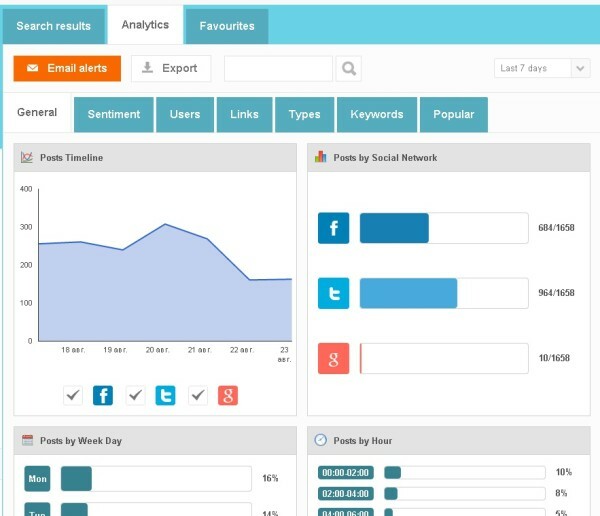 Comprehensive analysis for creating efficient marketing strategy and tracking your social media progress. Email alerts. Immediate notifications about new social mentions. 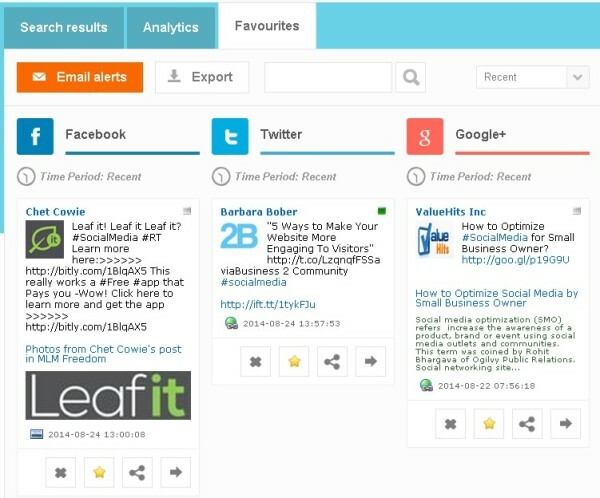 How to get access to the Social Monitoring? 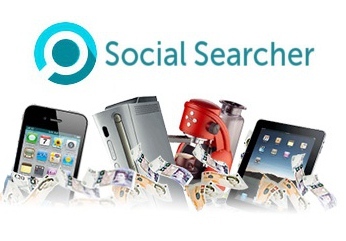 Log in to your Social Searcher account or register if you still haven’t done it yet. And start Free Trial on the pricing page. 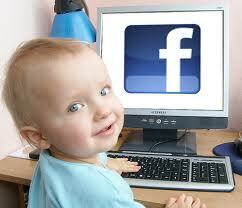 How to start Social Monitoring? Now you can go to your saved searches or create a new one with the desired keywords and search parameters. 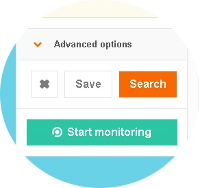 Press “Start monitoring” button to enable caching of the search results by the system. 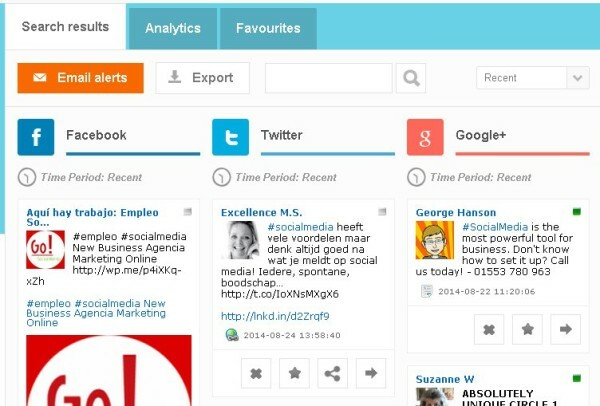 How to use Social Monitoring? 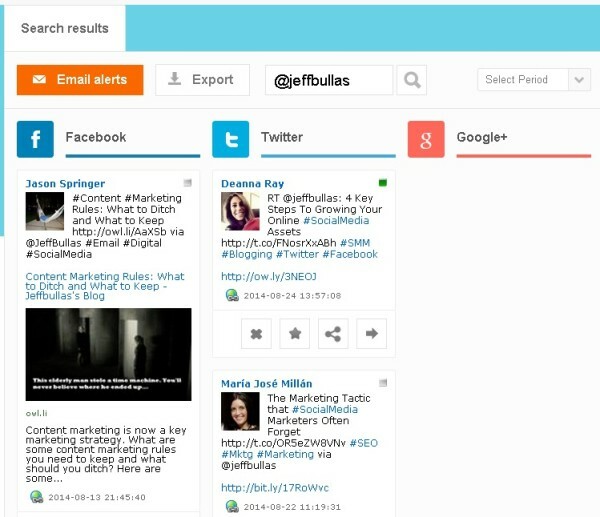 Click on the saved search with started monitoring to see recently found mentions. 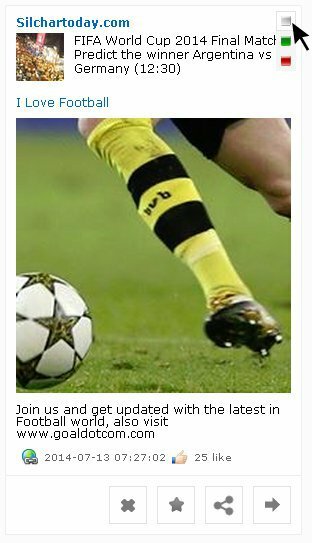 All cached posts have additional buttons in the bottom: delete post and add it to favourites. Also you may click on the post sentiment and change it if necessary. Tab “Favourites” contain all your posts marked as favourite. Select one of the time periods for the mentions preview and getting their analytics. Advanced analytics and visualization for understanding your industry changes and new trends. Get to know your key influencers, competitors and the most viral content. Explore posts history by searching. All text fields are searchable: user, text, link, description.